Continuing the trend of premiers happening in the performing-arts community over the next month, Repertory Dance Theatre returns in style with Embark. --- The '12-'13 season opener for the local dance company will include “How to Pass, Kick, Fall & Run” from Merce Cunningham, Select Works by Japanese dancer and choreographer Michio Ito, “8 Seconds Of Fame” as created by the RDT dancers, and “Hello World” by Jacque Lynn Bell and Barton Poulson, which brings a multimedia element to the evening's performances. Gavin: Hello to both of you. First thing, tell us a little bit about yourselves. Bart: My background is unusual for dance: I have a Ph.D in social and personality psychology and I teach statistics and research methodology at Utah Valley University. However, I have long had an interest in design and art. In fact, I was just able to spend a year-long sabbatical enrolled as a freshman in the University of Utah's arts technology program, where I worked on data visualization and digital art. It was also where I started the work on dance and technology that led to this project. Jacque: I fell in love with dance when I was very young. I was fortunate to be part of the Virginia Tanner Creative Dance program from the time I was 2 through adulthood. Through her vision and training in composition, I became serious about choreographing by the time I was in junior high. As a very brief summary, that passion for dancing and choreography then took me on a journey literally around the world that included performing, directing, teaching and choreographing. Gavin: How did each of you first take an interest in performing arts, and what were some early influences on you? Jacque: As I mentioned, Virginia Tanner had a major and profound influence on me. Also, so many teachers at the University of Utah influenced me greatly -- Bill Evans, Shirley Ririe and Joan Woodbury, just to name a few. Also, witnessing the founding of RDT and being impacted by the incredible artistry of those first of many years was truly life-changing for me. 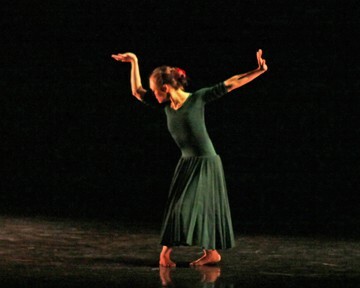 To see works by Anna Sokolow, Jose Limon, John Butler, Merce Cunningham, etc. was such a rich foundation as a teenager and gave me a vision of what was possible. I also spent many years in New York City and was influenced by some of the greats, as well as some of the small fish, there. Mark Morris had a huge influence on my dancing and the way I think about choreography. Another major influence has been the Alexander Technique, which is not a dance technique but more a way of thinking that can be applied to anything. It has changed the way I move and think about movement, as well as shining a light on my process of choreography. Bart: I've always loved art but I didn't get into dance until I went to New York City for graduate school. This is also where Jacque and I met, and we were able to go to a huge number of performances together. It was fabulous and had an enormous impact on me. Gavin: Jacque, you received an MFA from the University of Utah in dance and choreography. What made you choose the U and what was your experience like in its program? Jacque: I chose the U of U dance department because they have such a stellar program. I was able to explore choreographically, as well as being given some foundational compositional principles. It was a time of great learning and a blissful time of being able to follow my own passion for choreography. Gavin: Your career has taken you to spots around the globe, including Canada, Japan and the Philippines. How has it been for you performing all these years and still holding stage beyond the States? Jacque: Through Mary Ann Lee, the artistic director of the Tanner Dance Program, I had the opportunity to work with the Royal Winnipeg Ballet's professional division for 13 summers. 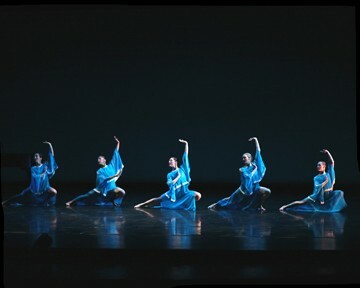 And through Ririe-Woodbury, I was given the opportunity to teach and perform dance throughout Japan and the Philippines. I've been very lucky to be recommended for such fabulous opportunities. I also had some opportunities to perform as well as choreograph in New York City during the 10 years that I lived there. However, I think the most meaningful work that I have done has actually been on the Virginia Tanner Children's Dance Theater. It often includes adult guest artists from the community such as RDT members, and I love working with a cast that has a large range in age. Gavin: Barton, your part is very different as you have a background in psychology, as well as a background in arts technology. What got you interested in that side of performing arts? Bart: Perhaps the shortest answer is that I fell in love with a choreographer. Jacque introduced me to modern dance when we first got together in New York and I loved it. She then returned to Utah for about a year and I went to performances on my own. In fact, a major event that led to our marriage was when I invited her back to New York to see a performance by Pina Bausch with me -- thank you, Pina! Also, Jacque introduced me to many, many people in the modern-dance community in Salt Lake City and, partially as a result of that, I also ended up on the board of directors for Repertory Dance Theatre, although I am no longer on the board. A big turning point for me, though, was the sabbatical I took at the U of U this past year. My purpose in going was to learn enough about computer design and Web programming to do online data visualization – and I learned a lot about those – but I also got to take some other fabulous classes, such as "Introduction to Video Games," an amazing, intellectually challenging course by Corrinne Lewis, and the Interdisciplinary Capstone Course with Rosi Hayes. Rosi, in particular, encouraged me to pursue the "art for art's sake" part of my training. That led to a project using a Microsoft Kinect to do video and motion capture of dance improvisations, which was very well received in a showing at the U of U. It was also the seed of our current work for RDT. Gavin: What was it like for you learning the trade and seeing how it applied to artistic performances and displays? Bart: It has been fascinating. I had never been on a professional stage before and I am just amazed by the glory of the theater; it's a magical place. Jacque has even had our family on the stage a few times, so I'm one of the few psychology professors to have performed at the Capitol Theatre and Abravanel Hall, as well as created pieces at the Rose Wagner Center. But really, I'm just happy to be here! Gavin: What influenced you to get involved with local performance companies, and who have you worked with in the past? Jacque: I have always been tremendously inspired by RDT ever since its inception. It's an honor to work with them and particularly with Linda C. Smith, whose vision and passion for the art of dance is a gift to this state, the nation and the world, if truth be told. Gavin: How did the two of you both come to perform for RDT, and what were your first experiences like with the company? 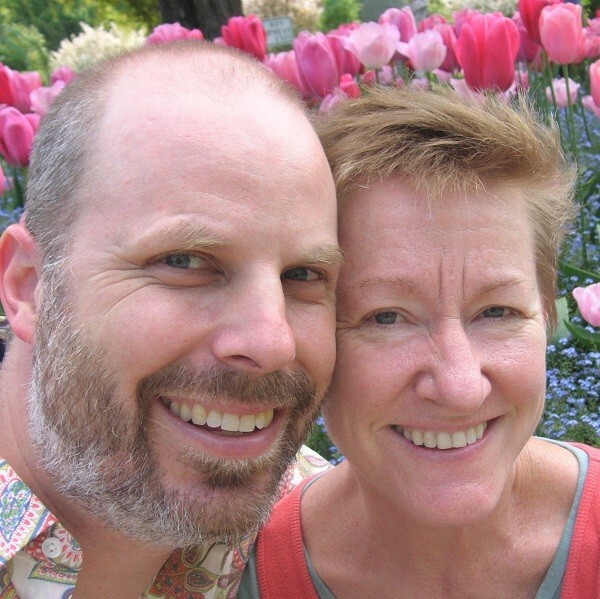 Bart: I learned about RDT, as well as Ririe-Woodbury, Ballet West, and Children's Dance Theatre, when Jacque and I got married, especially as many of the people from these companies came to our wedding. I have gotten to know the people at RDT the best and they have always been such warm and kind people, as well as astounding artists. It has been wonderful. 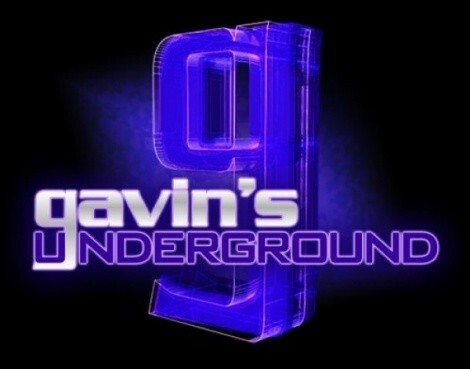 Gavin: The two of you have collaborated together a few times in different productions. How is it for the two of you teaming together on a performance, and how do you like working with each other? Jacque: I've been having fun. Bart is so easy to work with. We know each other so well. It's kind of shocking to ask his opinion on some simple choreographic questions and realize how much I respect his answers. This is new for us and adds a new dimension to our relationship that is exciting. And choreographically, it's quite wonderful to have someone right there with whom I can confer. Our first opportunity to work together artistically was last spring when we were a team for Charette. We had such a blast! I had done Charette a few times before and it was exciting, but I was always nervous and it was more like a job. But last spring with Bart it was like playing with a playmate -- totally fun, hardly got nervous at all. For some reason, working with him as my partner, all the ego went out of it and it was just pure play. Bart: Yes, Jacque and I worked together on RDT's Charette this past February, which was great fun. I spent most of my time cuing the music, filming the dancers' hands and feet with my iPhone, and quickly putting together a short video that I was able to project during the performance. And all of this was done in an hour. "Hello World," on the other hand, is a very different animal because we have had months to think about it and prepare, although the extra time also made it harder to focus on the task at hand! Jacque and I have talked a lot about the piece and have collaborated substantially on the music score, which is a melange of electronic compositions and white noise. On the other hand, she has done 98% of the work on the choreography and I have done 98% of the work on the visuals, although we would consult with each other and make sure we were on the same page. Gavin: How did the concept for “Hello World” come about, and where did you get the title from? Bart: This one was my idea. I've also be learning a lot about computer programming in the past year, having only done statistical coding before that. I took an introductory class in computer science at Utah Valley University and I spent a lot of time learning a programming language called Processing. Whenever a person is learning a new computer language, the first thing they do is always to get the computer to say "Hello World." This is a tradition that dates back a few decades. In most programs, it's a very simple thing. For instance, in Processing, all you have to do is write "println" -- "Hello World" -- and that's it. Other languages can make it much more complicated. So, that's one source for the title. There is another motivation for the title of "Hello World," though. This is essentially my professional artistic début, and certainly the most significant artistic collaboration I have had with Jacque, so it's a way of saying "Here I am!" That idea is also something that we have been able to play on when working with the dancers, which has been a lot of fun. Gavin: What's the process been like for each of you, Jacque on creating the choreography and Barton working on the imagery and presence of the piece? Jacque: This dance came together faster than any piece I've ever worked on previously. I knew there wasn't a lot of rehearsal time available so I created a structure in which I could guide the dancers to create their own solos. It's been really fun to see the material that they have all come up with. They are each consummate professionals and incredibly creative in their own right. It has been a complete pleasure to work with the company and Linda is always wonderful to work with. She is respectful, kind, has an impeccable eye and works with complete integrity. I feel lucky to be in her presence and learn from her example. Bart: The process has been both exciting and overwhelming. I've tried to do as much as possible in Processing. I've been able to learn a huge amount of new things in this project, which has been great. However, like any technical adventure, there have been technical glitches that have had me banging my head against the wall. I eventually realized that some parts of the visuals, like the animated sequence at the very beginning, just wouldn't work well with Processing, which led to very significant changes in my approach. I see it more as a process of intellectual expansion and occasional accommodation, but it has been exciting the entire time. Gavin: What was it like for the two of you to put this performance together and have it be a part of Embark? Jacque: This has been such a kick for me. It's so funny that it is my psychologist-professor husband who created this opportunity for us! I always thought I was the artist, but I have been so busy raising our three kids and dealing with a few other things that life has thrown me that I haven't had a lot of opportunity to do my art in the last 10 years. And then, here comes Bart, recreating himself and bringing forth this marvelous experience for us like whipping up magic out of the air. It's quite amazing! However, not too surprising, since Bart has always been an artist first and foremost even though I don't think he realized that for a lot of years. Bart and I have always shared a similar aesthetic -- it's one of the reasons I was attracted to him. So, working with him on "Hello World" has been natural, fun, easy -- kind of like communicating with the technical side of myself, the one that doesn't exist except through him but makes me much more three dimensional -- plus it's pretty cool to have somebody in my own bedroom who can again and again edit music to my own picky desires anytime I decide the music is half a second too long. 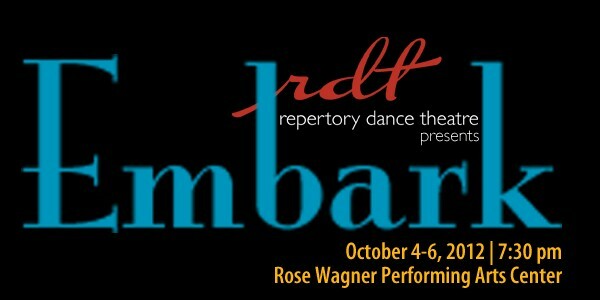 Bart: Linda C. Smith, RDT's artistic director, and the dancers have been absolutely wonderful. I have loved working this closely with Jacque, which we never really thought would happen, given that she's a dance professional and I'm functionally a statistician, but it has been delightful. And I'm amazed that we get to be in the same show as work by Merce Cunningham and Michio Ito. It feels a little like having your college-sketchbook show at the Museum of Modern Art in New York City. I'm surprised and honored. Bart: I hope, I hope, I hope the DVD syncs up right. I'm keeping all of my fingers and toes crossed. Jacque: We love it. It's like a big family, where we get to see people we love regularly and get to meet wonderful new people all the time. Utah is actually a very, very dance-friendly state. As a matter of fact, this is data on this: Utah is head and shoulders above every other state in the country for Google searches related to dance, and modern dance in particular. Just take a look at Google Correlate. It's like we're the only ones there at all. That being said, we both miss living in New York and being able to go to BAM -- The Brooklyn Academy of Music. We ache to be able to see the kind of cutting-edge modern dance that we were able to see there. Bart: I have an ongoing, vaguely defined goal of trying to get Congress to declare RDT a living national treasure. Despite being a registered member of the Green Party, I've actually spoken with some people in Orrin Hatch's office about this – because, you know, he's a performing artist, too. My idea is that RDT is the only living history in the world of one of the most important artistic developments of the 20th century, and that with better financial and organizational support it could share these treasures of dance with people around the state, the country, and the world, for many, many years. Jacque: We love to see all the things that are happening. We're amazed by Stephen Brown's chutzpah, we loved the improvisational work that MoFo -- Movement Forum -- did at Sugar Space, and we're incredibly enthusiastic for what Ashley Anderson has been able to do with loveDANCEmore and with the Mudson performances. And, of course, we absolutely love Salt Lake's modern-dance institutions, RDT and Ririe-Woodbury. They are both gifts to the city and we're tremendously fortunate to have them here. Bart: Stop dancing on concrete and take care of your joints; they don't last forever. Also, take some time to learn about finance, even if it seems contrary to the artistic spirit; a starving artist can starve for only so long. A little financial sense can help avoid the starving part, allowing the artistic part to thrive longer. Really. Bart: Jacque and I have another major project that we're working on with Nichole Ortega of the department of dance at Utah Valley University. 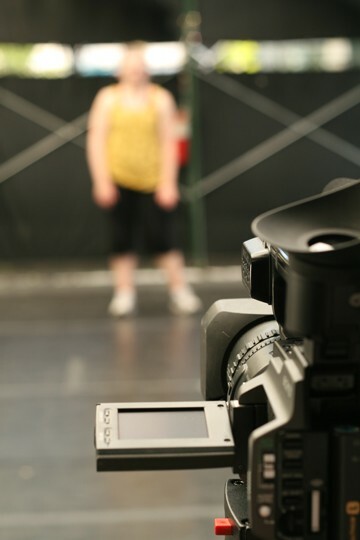 It's called "Dance Loops," and it's a year-long project with students from across campus to create improvisational, interactive, dance-performance art and technology pieces. The goal is to create an entire collection of pieces that can be performed across Utah and across the country. It's a lot of fun and we expect great things from it.